Clinicians working with patients and families in hospice and palliative settings understand the power of story. At our roots is the value of authentic listening. It bestows respect, meaning and importance to people who may feel at times that nothing is going their way. 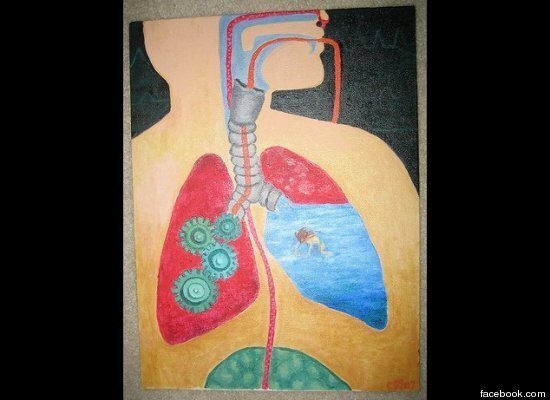 Many of the blog posts in Pallimed: Arts and Humanities are really about the story behind the artistic expression. This exploration of the meaning in art correlates with authentic listening. When you slow down and appreciate and discover art in all its forms you amplify the meaning and importance, even if just to you as an individual. In this digital age, my children (now almost 7) love playing on my iPad, sometimes Angry Birds, sometimes some educational apps. 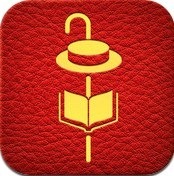 One particular beautiful app caught my eye last year, The Fantastic Flying Books of Mr. Morris Lessmore (iOS only). 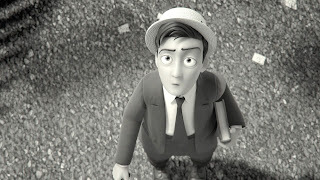 When I first saw it in the app store, it seemed so familiar to me, and after some exploration online I realized I had heard about this app from its earlier incarnation as a 2012 Oscar winning short film by the same name. "He was that and more: he was also its heart. Bill loved good books; he loved their readers; he loved his work, and he loved HarperCollins. In return he was, himself, universally loved." The app description reinforced my ‘good parent’ motivations: ‘a story of people who devote their lives to books and books who return the favor.’ After a short download, my son and daughter proceeded to walk through the hybrid app/book. The story begins with Mr. Morris Lessmore reading scores of books when a storm blows him and all his books away. The muted earth tones of New Orleans architecture give way to a bleak gray landscape littered with debris and empty books. In the background of this silent film, “Pop Goes the Weasel” repeats, but uses many different themes and tempos to reflect the myriad of moods depicted in the action: sorrow, joy, disillusionment, whimsy, hope. Morris eventually comes to a library where the inhabitants are books who take him in, share stories, and enable him to spread the love of books to others. If you have not watched the film ($3 iTunes), read the book (less than $15), or used the app ($5 iOS), I highly encourage you to purchase at least one of them and support the artists who made it. You could find the film on YouTube from copyright violators, but if you do, I hope you purchase it anyway after you see how wonderful it is. Well, as I sat playing through the app with my children, I began to sense things were going to get more emotionally heavy at the end. Mr. Morris works with these books and barely interacts with any other humans, he begins to age, and the seasons change. I found the scene where he repairs a book in a surgical amphitheater particularly moving when taken in a palliative context. The book old book flat lines on the EKG and can only be revived once he is read by Morris. What an amazing allegory depicting how reading someone’s story actually brings them to life? A short cameo of honor is also given to author Colleen Salley, who died in 2008. You see her as the first woman Morris gives a book to. Salley was a strong supporter of children’s literature who also understood why stories matter. At the end of the short, Morris completes his book, presumably his biography. As he sets off to say goodbye to the books and leave the library, the books surround him in a transformational cocoon, and in a moment appears his younger self. Morris then jets through the sky, led by a squadron of flying books much the same way as the young woman encountered early in Morris’ post-storm journey. 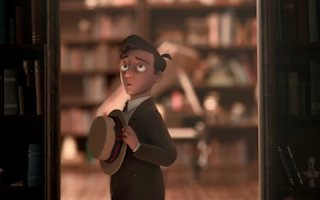 At the closing scene we see Morris in a picture on the wall along with the flying book lady and a few other off-screen characters. So as I watched this with my kids, I asked them what happened to Mr. Morris. They floored me in saying, “He died,” as though it were a simple matter of fact. I was expecting them to not pick up on the symbolism of death, but they saw it pretty straight forward. They were a little sad at the end, but were eager to go through the app again. On the second time through they asked me if the flying book lady was also dead. After multiple viewings, I am not sure if this post-storm world is real life, a limbo, or an imagining of heaven. It was a fascinating conversation with my kids, and one that I imagine countless others may have had with their families after watching this amazing short. Share this one with your team, your family and share your thoughts with us in the comments below. 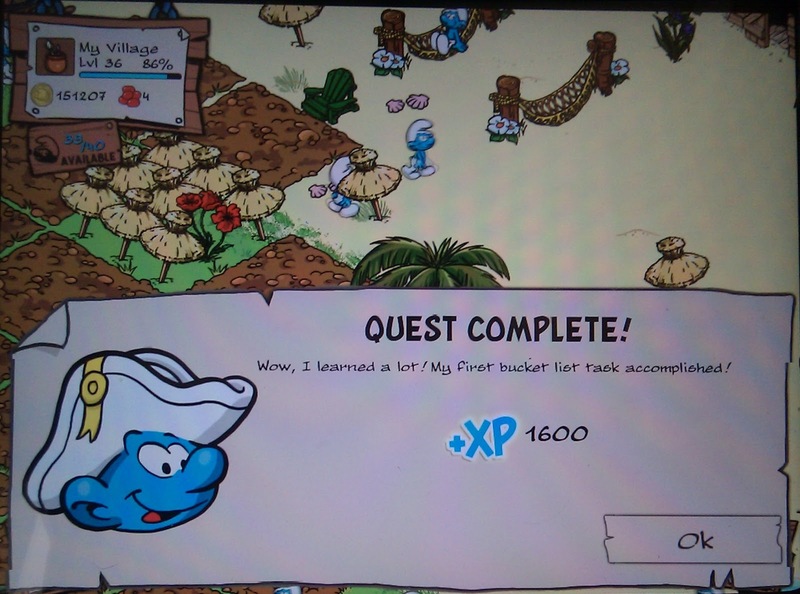 I am a 42 year old woman who has made it to level 37 in Smurfs Village on the IPad. Don’t smurf me. I started playing the game when my husband and I first bought our IPad as a shared anniversary gift two years ago. The Smurfs game was free, and a nostalgic reminder of the days when I would wake up early on Saturday mornings, grab my cereal, and watch Smurf cartoons. Fast forward thirty years and I still enjoy cartoons and a bowl of Count Chocula every now and again. When I’m not smurfing around, my purpose in life is to create conversations about death and dying. I am a thanatologist, hospice social worker, and big advocate for quality of life at end of life. People always ask if hospice is depressing and I always say no. Being with the dying has taught me that I better enjoy living, while I still can. I do not think I would have the appreciation for life, were it not for my understanding that our time is limited. In many ways, the Smurfs Village is a microcosm of an idyllic society. Smurfs are happy little creatures, each with their own identity and role. They keep themselves busy building houses, baking bread and planting pumpkins. Smurfs also have a strong sense of community; when Gargamel poses a threat, the Smurfs join together to go fight him off in the forest. It seems like nothing bad ever actually happens in Smurfs Village though, except if you don’t tend the vegetables, you’ll lose them. About halfway through my Smurfs Village game, a new Smurf was introduced. Dreamy Smurf came in on the S.S. Smurf II and talked about faraway places. He had big dreams and he would get other Smurfs excited about joining him on his adventures. What?! Smurfs die?! I was so shocked that I accidentally tapped the screen before I could get a picture of the discussion. Fortunately the Smurfs continued to talk about Dreamy’s list over the course of the game. It was a smooth transition from the mention of death to the subject of life, and the message was simple: life is limited. Dreamy Smurf is quite ambitious and is working through his Bucket List of goals. I am still playing the game, so I cannot tell you how it ends, but isn’t that just like life? We do not know how or when it is going to end. 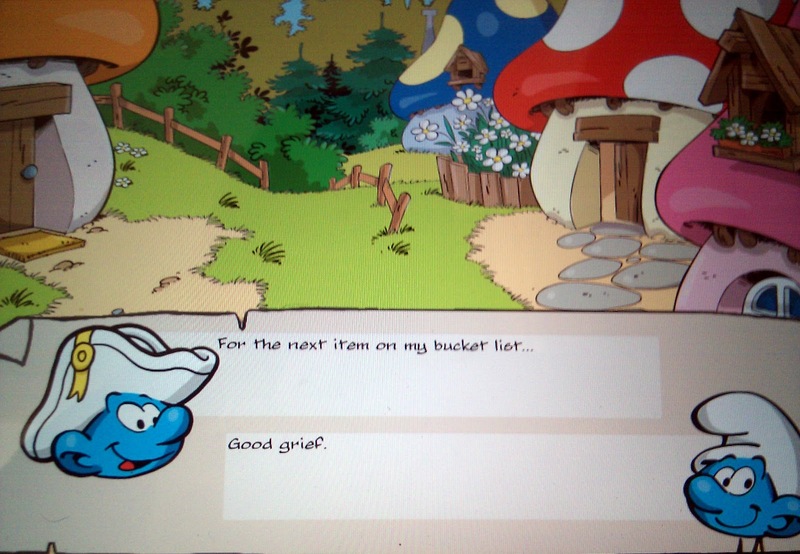 As a final thought, I’m not one to smurf, but perhaps Dreamy Smurf might have set his sights a little low when he decided to get a new hat as one of his Bucket List goals. The other Smurf did say he thought that Dreamy could be a bit more creative. Yet, his third Bucket List item was to express his feelings for Smurfette. What a great message for everyone – express your feelings to the ones you love. Now that we’ve accepted that our lives are limited, what do we do? We identify what is important to us and we set forth to make those people or activities a priority. My method for getting out of my head and enjoying the moment is playing Smurfs Village. I may not be currently visiting faraway lands like Dreamy, but visits to Australia and New Zealand are on my Bucket List. Lizzy Miles, MA, MSW, LSW has experienced double-digit losses in her own life and recognized her life's purpose was to help others to navigate the transition to end of life. Lizzy is a hospice social worker, thanatologist and the founder of the first Death Cafe in the United States. She is also the Social Media and networking chair of the Association for Death Education and Counseling and has presented her research at national and international conferences. Lizzy authored a book about her positive hospice experiences entitled Somewhere In Between: The Hokey Pokey, Chocolate Cake and the Shared Death Experience. Since late June, something a little unusual has been up on the wall of a local bar called Alibi in San Diego. It something called the Before I Die project, and it is the second time this dynamic public bucketlist it has come to San Diego. The installations last for varying periods of time, and people walking by write on them with chalk. After it is full, the board is wiped clean and it starts over again. Funny, ambitious, heartbreaking, profound, crass, inspirational and huh? are all words to describe what I have read on the board. It isn't far from my work, so I'll check it out and add photos periodically. This is a global project started by Candy Chang in New Orleans after the loss of a loved one, but the work has traveled far and wide. There are now Before I Die walls in multiple countries and many in the U.S. If there isn't one near you, you can purchase a starter kit on their website, or just make one yourself. 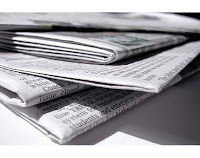 It has gotten a lot of press in San Diego and nationally (Atlantic, Salon, NBC News, and even Oprah). Candy is a TED Senior Fellow and has received numerous awards, and a "Before I Die" book is in the works. 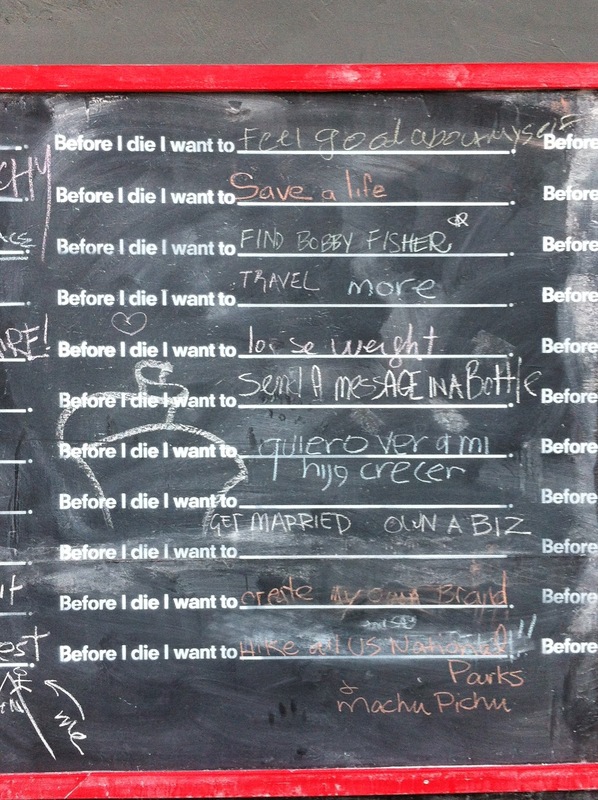 You can follow along on Twitter too (@BeforeIdiewall). Just thought I'd share one of the coolest crowdsourcing/community art projects I've seen. 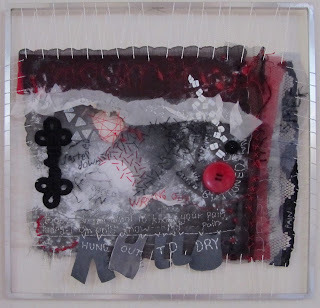 Textile art is not something I see a lot of, so had to share this. 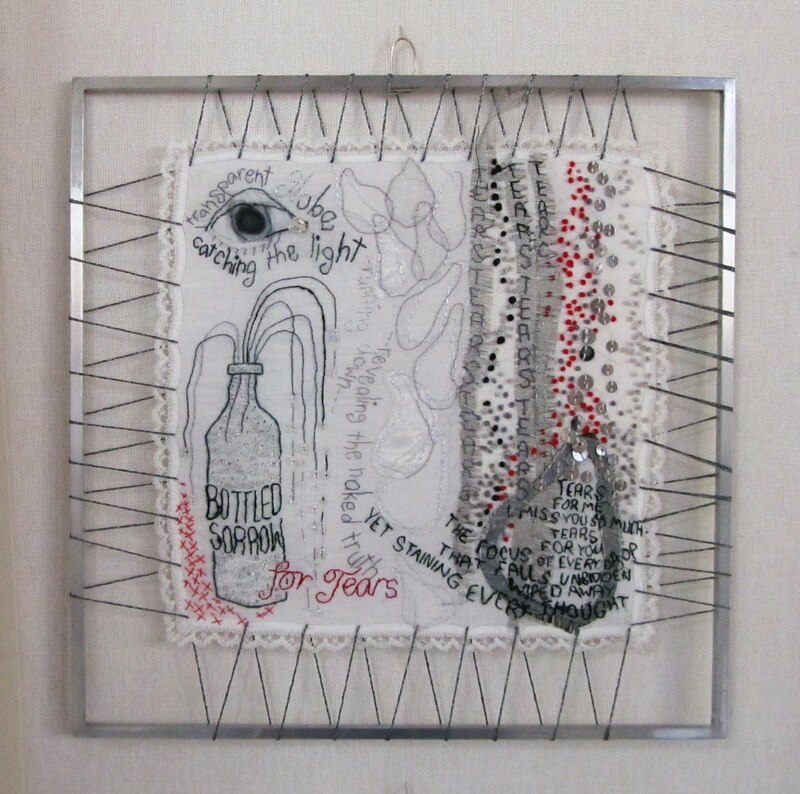 Jacqui Parkinson, also known as Jacqui Frost, is a textile artist who lives in Devon, England. In 2007 she lost her first husband, Rev. Rob Frost to cancer. In the midst of her isolating grief, she felt the urge to do something both artistically and physically. She took up running and during those long runs had the time to start processing ideas to link her grief experience into art. 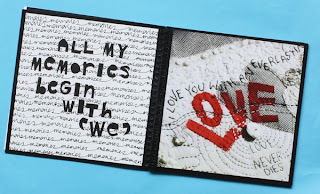 She initially used vintage handkerchiefs, stitching words and ideas onto it like a canvas. The colors were mostly blacks, grays, and reds and when finished the handkerchiefs were stretched and then fastened to metal frames and exhibited in Exeter Cathedral in Devon. The response was so positive, many people identifying with the images and words, that photographs of the textiles were taken and a book entitled "Good Grief?" was published by Threads Publishing. 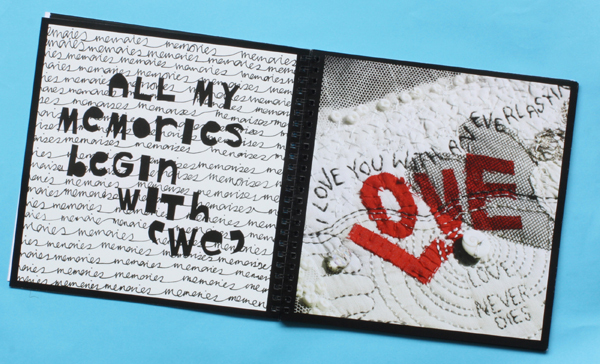 The book includes the photographs of the textiles, but also a textile figure, lino prints and words all working together to communicate the pain of Jacqui's personal journey. 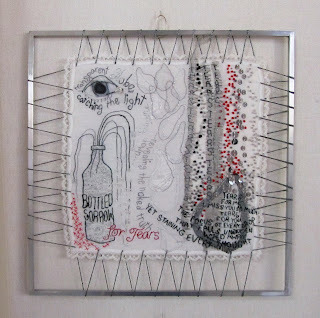 The words that match the textile art are more like poems, for example a detail photograph of a textile piece with a clock bordered by the words 'time does not heal' and in red large print "presentfuture" that is stitched below has an adjacent page with the written words, "Thoughts of ageing alone into the years ahead so strange/ unbelievable /a borderless page with no words/ a stiff canvas with no paint/ a stretch of fabric with no stitch/ so how to begin the years ahead/ alone." 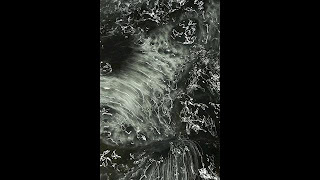 In the past we've mentioned other artists who use a medium reflective of grief itself, like Motoi Yamamoto who uses salt, representing tears of grief and Julie Williams who photographs water, again reflective of tears. Here is yet another artist, using handkerchiefs which themselves symbolize grief. To see sample pages of Jacqui's book follow this link. Photographs of the textiles displayed in the cathedral exhibition can be seen here. I was recently emailed a story. Friends and family know that I'm involved in hospice and palliative medicine and send things along at times. When I first read it, I thought it sounds like a hospice urban legend. What do you think? Fact or fiction? I'm not sure how widely circulated this is, so it may be something you have read before. There was a time in my life twenty years ago when I was driving a cab for a living. It was a cowboy's life, a gambler's life, a life for someone who wanted no boss, constant movement and the thrill of a dice roll every time a new passenger got into the cab. What I didn't count on when I took the job was that it was also a ministry. Because I drove the night shift, my cab became a rolling confessional. Passengers would climb in, sit behind me in total anonymity and tell me of their lives. We were like strangers on a train, the passengers and I, hurtling through the night, revealing intimacies we would never have dreamed of sharing during the brighter light of day. I encountered people whose lives amazed me, ennobled me, made me laugh and made me weep. And none of those lives touched me more than that of a woman I picked up late on a warm August night. I was responding to a call from a small brick fourplex in a quiet part of town. I assumed I was being sent to pick up some partiers, or someone who had just had a fight with a lover, or someone going off to an early shift at some factory for the industrial part of town. When I arrived at the address, the building was dark except for a single light in a ground-floor window. Under these circumstances, many drivers would just honk once or twice, wait a short minute, then drive away. Too many bad possibilities awaited a driver who went up to a darkened building at 2:30 in the morning. But I had seen too many people trapped in a life of poverty who depended on the cab as their only means of transportation. Unless a situation had a real whiff of danger, I always went to the door to find the passenger. It might, I reasoned, be someone who needs my assistance. Would I not want a driver to do the same if my mother or father had called for a cab? So I walked to the door and knocked. "Just a minute," answered a frail and elderly voice. I could hear the sound of something being dragged across the floor. After a long pause, the door opened. A small woman somewhere in her 80s stood before me. She was wearing a print dress and a pillbox hat with a veil pinned on it, like you might see in a costume shop or a Goodwill store or in a 1940s movie. By her side was a small nylon suitcase. The sound had been her dragging it across the floor. The apartment looked as if no one had lived in it for years. All the furniture was covered with sheets. There were no clocks on the walls, no knickknacks or utensils on the counters. In the corner was a cardboard box filled with photos and glassware. "Would you carry my bag out to the car?" she said. "I'd like a few moments alone. Then, if you could come back and help me? I'm not very strong." I took the suitcase to the cab, then returned to assist the woman. She took my arm, and we walked slowly toward the curb. She kept thanking me for my kindness. "It's nothing," I told her. "I just try to treat my passengers the way I would want my mother treated." "Oh, you're such a good boy," she said. Her praise and appreciation were almost embarrassing. When we got in the cab, she gave me an address, then asked, "Could you drive through downtown?" "It's not the shortest way," I answered. "Oh, I don't mind," she said. "I'm in no hurry. I'm on my way to a hospice." I looked in the rearview mirror. Her eyes were glistening. "I don't have any family left," she continued. "The doctor says I should go there. He says I don't have very long." I quietly reached over and shut off the meter. "What route would you like me to go?" I asked. For the next two hours we drove through the city. She showed me the building where she had once worked as an elevator operator. We drove through the neighborhood where she and her husband had lived when they had first been married. She had me pull up in front of a furniture warehouse that had once been a ballroom where she had gone dancing as a girl. Sometimes she would have me slow in front of a particular building or corner and would sit staring into the darkness, saying nothing. As the first hint of sun was creasing the horizon, she suddenly said, "I'm tired. Let's go now." We drove in silence to the address she had given me. It was a low building, like a small convalescent home, with a driveway that passed under a portico. 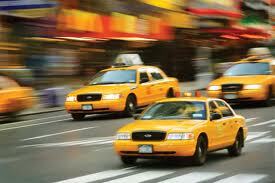 Two orderlies came out to the cab as soon as we pulled up. Without waiting for me, they opened the door and began assisting the woman. They were solicitous and intent, watching her every move. They must have been expecting her; perhaps she had phoned them right before we left. I opened the trunk and took the small suitcase up to the door. The woman was already seated in a wheelchair. "How much do I owe you?" she asked, reaching into her purse. "You have to make a living," she answered. "There are other passengers," I responded. Almost without thinking, I bent and gave her a hug. She held on to me tightly. "You gave an old woman a little moment of joy," she said. "Thank you." There was nothing more to say. I squeezed her hand once, then walked out into the dim morning light. Behind me, I could hear the door shut. It was the sound of the closing of a life. I did not pick up any more passengers that shift. I drove aimlessly, lost in thought. For the remainder of that day, I could hardly talk. What if that woman had gotten an angry driver, or one who was impatient to end his shift? What if I had refused to take the run, or had honked once, then driven away? What if I had been in a foul mood and had refused to engage the woman in conversation? How many other moments like that had I missed or failed to grasp? We are so conditioned to think that our lives revolve around great moments. But great moments often catch us unawares. When that woman hugged me and said that I had brought her a moment of joy, it was possible to believe that I had been placed on earth for the sole purpose of providing her with that last ride. I do not think that I have ever done anything in my life that was any more important. It turns out this is a true story. 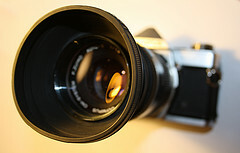 A quick search on Snopes.com (a website that debunks all the tall tales and urban legends one finds in one's email) revealed that this story was written by Kent Nerburn, an author who writes on Native American issues and spirituality, under the title "And where there is sadness, joy" in his book Make Me an Instrument of Your Peace published in 1999. This is a unique one, and something I stumbled upon listening to an old podcast from Radiolab produced by NPR. There is a town in France, situated in the suburbs of Paris called Garches. 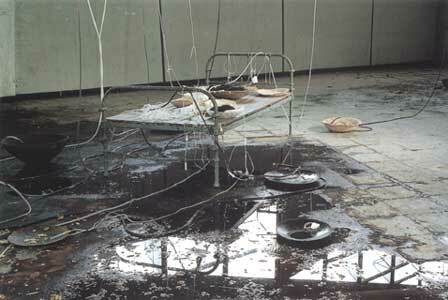 The town has a large trauma hospital, Raymond Poincare, where most of the vehicle accidents come to be treated. Unlike other hospitals that have similar amounts of death from chronic disease and trauma, this hospital has mostly trauma related deaths. In fact approximately 450 deaths a year from injuries. The pathologist began to notice that the trauma deaths had a negative impact on the family members ability to grieve. Family members walking into this hospital were in shock, and came to claim the bodies of loved ones who were very much alive the last time they were seen. Thus, a space was created in attempts to palliate the shock. It is both a chapel and a morgue, where the body is placed for the family to view and say goodbye. The name of this room is Salle Des Departs (translated departure hall or room). The room was designed by Italian artist Ettore Spalletti, and is meant to be relaxing and beautiful with blue tones and minimalism elements. 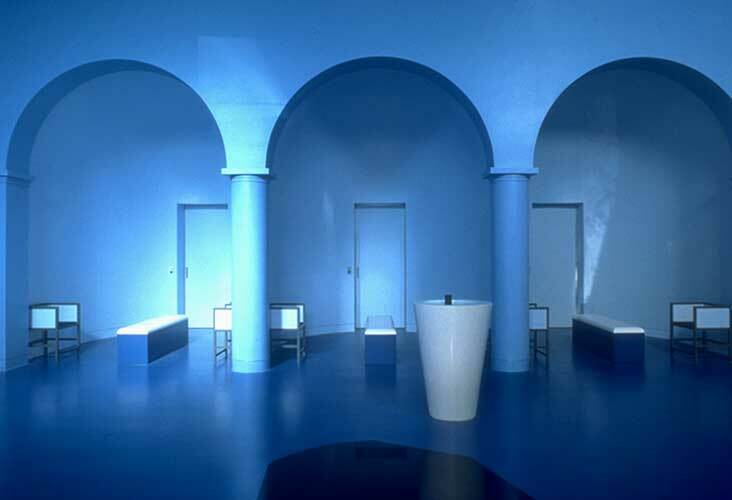 The space needed more than calming hues, so two music compositions were commissioned from David Lang and Robin Rimbaud (aka Scanner) to be played in the background if the family chose. Interestingly, both Lang and Scanner had experiences with traumatic deaths in their past. 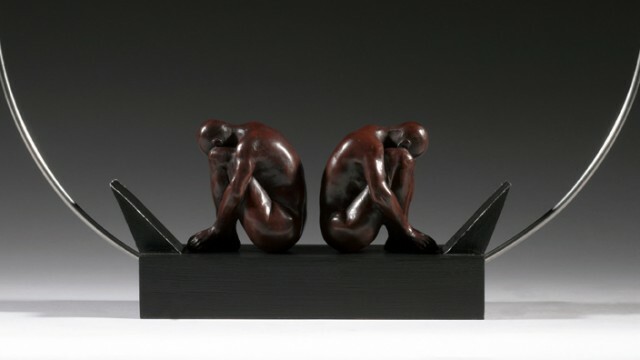 Scanner, who's father had died in a motorcycle accident, identified with how the lack of formal mourning affected his family and used his own experience in his piece. Lang, too, was very thoughtful in his work, writing a piece that could not be reproduced in a live setting. He felt that since the piece was about death, to be able to produce it in a live setting would be cheating. His instructions on the sheet music says "like angels", and through the production process, the female chorus never takes a breath, singing in an eternal, beyond human. He said in the Radiolab episode, "I was trying to make the environment, that would have been the right environment for the experiences that I have already had." He had to be careful, though, as music so powerfully can manipulate our emotions. He acknowledges this challenge saying, ""Music...bypasses all of your normal protection mechanisms, it goes to the place of you which is not dealing with language or rationality. ... it has this ability to go around all of your defenses. I wanted to make something which gave people permission to examine which way they wanted to go with their emotions." I've listened to both pieces, which are very different. I wonder if families choose, or if one piece is always played first if they ask for music? In Scanner's piece you hear different voices, water, insects and birds pierced occasionally with synthesized keyboard music, whereas Lang's piece is simply 3 Cello's and female chorus. You can listen to David Lang's "Departs" with some photos of the Salle Des Departs on Vimeo here. To listen to the Radiolab podcast follow this link. The Scanner piece, "Channel of Flight" can be listened to if you have RealPlayer through a download here. Annie Tempest is a British cartoonist by trade, the author of Tottering-by-Gently, a strip that runs in the UK magazine Country Life. 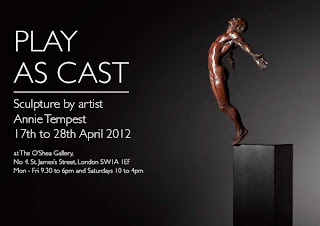 Most recently, however, she's moved into sculpting and had an exhibition in London this past month called "Play as Cast"
Her sculpting, like so many other artists, became a way to deal with the grief of the death of her son. Freddy Tempest McConnel died last May, at the age of 18, of a heroin overdose. Annie said in an interview with Louette Harding of The Daily Mail, "That's how I've been dealing with it. I haven't seen therapists; it's sculpting that has kept me going. Because it wasn't just on 28 May and afterwards; before that, we'd been through the highs and lows of recovery and relapse...It's been hope, crash, hope, crash - heights as well as depths... my sculpture has helped me through." How many of our patients and families use those same terms dealing with terminal illness? "Hope, crash, hope, crash..." they talk about the roller coaster they're on, even in the last days. One piece that is not on display is something she did right before he died and about which she had her last conversation with her son. She says of the piece, "A week before Freddy's death, I knew in my heart he was gone.." She describes it as, "Two figures, fighting to hold on and to let go. It's a goodbye...It looks like a fight, but it's also a hug...It's two adults hugging and pushing. I was a primal scream." She actually sent her son a picture of the piece and his emailed reply to that was her last communication with him, he wrote "Mum, I absolutely understand and love your sculpture, I'm sorry. I so want to beat this. Love, Fred." Although I haven't seen the piece, I think this too would be something our patient's families would resonate with. There is a pushing and pulling when a loved one dies; we want them to stay but don't want them to suffer - what a great visual of a hug/push. Each of the pieces communicates so well with the use of three dimensional space. I encourage you to see all of the images from the gallery at this link. To read more from the interview with Louette Harding go here. "The Greatest Obituary of All Time"
I read a lot of obituaries. Some are long. Some are short. Some are flowery. Some are just the facts. When this obituary was published in the Denver Post it became known on the internet as the greatest of all time. While it is hard for me to judge such things, I would agree that it is pretty good. I never knew Michael "Flathead" Blanchard but I appreciate his sense of humor. And I kind of wish I had known him. The obit is below. Here is a great article about his funeral. 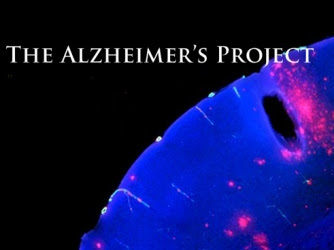 The Alzheimer's Project is an HBO documentary series that debuted in 2009. It consists of 4 documentaries that look at the science of the disease and those affected by the disease, the people with the disease, their caregivers and children. There is also a supplementary series of short videos. What really caught my attention in this three year old series was the documentary entitled "Grandpa, do you know who I am?" It was narrated by Maria Shriver whose father, Sargent Shriver, suffered from Alzheimer's. (He died in 2011.) This video was geared toward children dealing with grandparents with Alzheimer's. They followed several different children in different circumstances. One family of children was having an open conversation with their grandfather with early Alzheimer's about what was happening to him and how he was dealing with it. One girl was helping to care for her grandmother in her home and another had a grandmother in a nursing home. The very emotional part of the video was when they discussed some of the behavioral changes in their grandparents. One child described her nursing home bound grandmother slapping her for no apparent reason. In another scene, a grandmother yells at her granddaughter to leave when she tries to read to her. The video is mixed with messages for children dealing with similar situations, like this is the disease not really your grandparent and try to be a keeper of your grandparents memories. This documentary series is very well done as HBO documentaries tend to be. It was made in collaboration with National Institute on Aging. What I really appreciated is that the videos are all available online here. When composer Nigel Westlake's 21 year old son was suddenly and tragically killed in 2008, he didn't think he'd be able to write music again. An entire year went by before Westlake realized he couldn't spend the rest of his life stuck in grief. Walking back into the studio again after so much time, he found a previously written piece lying on his desk called Missa Solis. He'd forgotten about the piece and began thumbing through it again, finding an old Italian poem he had put to music about the sun. It reads, "My joy is born every time I gaze at my beautiful sun, but my life dies when I cannot look at it. For the very sight is bliss to me. Oh sun, immortal life giver, do not hide, for I know that when I am unable to see you, life could not be worse." In his current grief stricken state, the context changed. All he could think about was his son, the similarities to the sun could not be ignored. He began to write and work again, using this poem as a starting point. Daily his work became like therapy, a way to put the spirit of his son to rest. The orchestral requiem premiered in October 2011 with the Sydney Symphony, but has just recently won Australia's Orchestral Work of the Year. The work is in 8 movements, lasting 44 minutes. It really is breathtaking, and I encourage you to listen to it in its entirety. You can watch video from the premiere from BigPond.com by following this link. The titles of the movements are as follows: Prologue, At the Edge, Song of Transience, Aurora, Nasce la gioia mia, Hymn to the Atan, Sidereus Nuncius, and O Sol Almo Imortal. Some of the themes are less subtle when dealing with death, as the Song of Transience which is an excerpt from the Tibetan book of Living and Dying by Sogyal Rinpoche. There is a solo in this movement, by a young male treble singer. I couldn't help but think of Westlake's own son as the boy sang. To read more notes from each movement visit this website written by Westlake himself. If you cannot listen to the entire orchestral work, YouTube does have snippets from the 5th movement and the final movement. You can hear the climactic choral section below, interspersed with percussion that reminds one of fireworks or gunshots. Just when you think it is over a sudden quiet and peaceful ending with the strings section occurs, symbolizing a laying to rest. Once again, from death, art has been created. I'm grateful to artists like Nigel Westlake for courageously allowing us to experience the process. 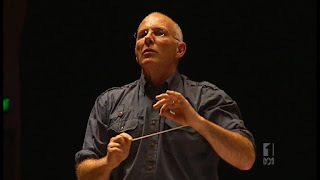 *photo from the Australian Broadcasting Network piece on Nigel Westlake. Araya Rasdjarmrearnsook is an art teacher and one of Thailand's' foremost female artists. She had her first solo show in New York last month with a video exhibition showing historic art history pieces from western culture to rural and religious people in Thailand in an exhibit titled "Two Planets/ Village and Elsewhere"
However, for me, it is her previous work I wanted to touch on for this post. 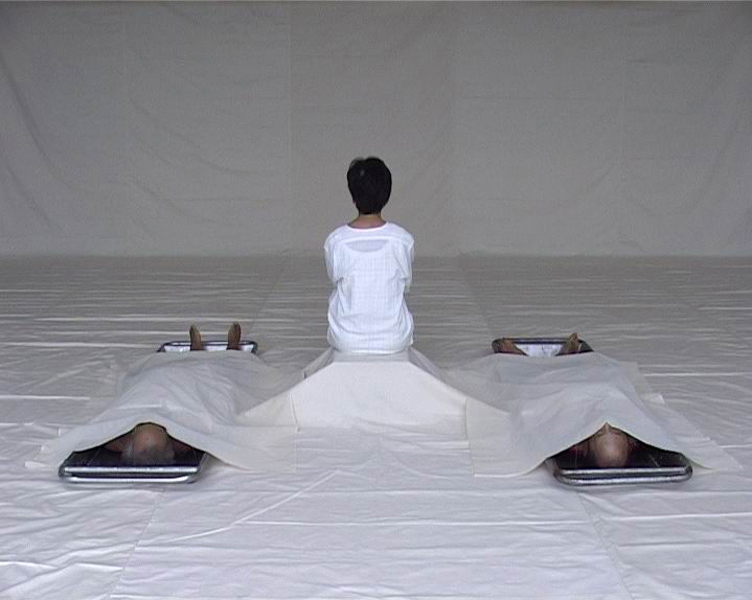 Araya first made headlines in the US with an group exhibit in 1996. More controversy came in late 1990's and early 2000's when her exhibits began incorporating corpses. In works such as "The Class II" Araya is seen on video lecturing a classroom of corpses. The topic for this lifeless class? Death. You'll see her ask the dead bodies, "Did you die in autumn?" You can see this video on YouTube here. I was struck by the seriousness of her tone as she interacts with the class on a topic they surely must know. In "Conversations I, II and III" she meanders through a room of corpses humming. In "This is Our Creations" she actually lies down next to the bodies and is heard saying, "I came here to know you, lying here motionless. Once my father sent me a postcard from very far away. Its sentence: only a still pond can reflect the starts." My first thought was, what experiences has this woman had with death that has led her to express herself in this way? I had to do much searching to find the answer, but in an interview in 2005 with Oliver Benjamin, she told her story. Her father was a physician, and at the age of 3, as her mother labored in childbirth with her father as physician, her mother died. A week later the young sister born also died. In the following 3 years she lost a step sister aged 18 months, her grandmother and great grandmother. As she said in her interview, "From this reason, I guess, I have been interested in examining death"
When you look back, even to her etching "The Dream of Mother" in 1990, you can see the processing of her life events. Sometime in there, her father then died of cancer. In response, new pieces such as "The Dinner with Cancer I" and "Th Dinner with Cancer II" were done. Araya has used art as a way to deal with death. Specifically in her words, "I choose art as process of thought for the meaning of death". Araya spoke of that meaning in an interview with Brian Curtin in 2007 saying "In reality, life and death should not be understood as opposites. People deal with death by trying to hide it. They hide death behind ritual or hope to prevent it with medicine. I want people to have more imagination and confront reality!" In the interview with Oliver Benjamin in 2005 she concluded talking about the topic with, "I'm tired of death! May be too much." That's the goal isn't it? To work with our patients and families to process through it? For now the artist does seem done with death, as her art has moved on to exploration of different ideas. Whether you are repelled or connected to Araya's work with death, it's what I love about art - a vehicle to express ideas which then stimulate the viewers mind. To see works listed up until 2002 visit this site. For those 2002 and on visit here. In 2005, artist Christina Symanski fractured her neck diving into a swimming pool. She was pulled out by her boyfriend but has been a quadriplegic since that time. Symanski continued her art, using her mouth and an iPad. More of her art can be seen here. The effect her injury had on her art is obvious. 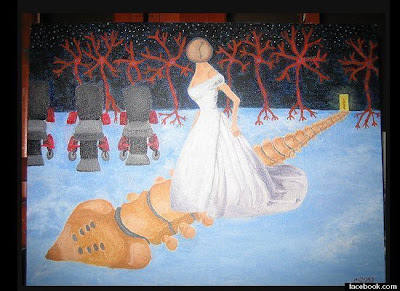 She wrote about her experience in her blog, Life; Paralyzed. She also wrote a book about her experience. In April 2011(not posted until December), Symanski wrote a blog post entitled Quality vs. Quantity. In that post, she writes about what quality of life means to her and discusses the importance of having an advanced directive, how she wished she had had one prior to her accident. "Because I didn't think things through before hand, or have a living will, I created a very difficult life for myself (unintentionally), by having to live within the confines of paralysis. Living with paralysis (at my level-C4/C5 complete) means I have very few options. In order to stay alive, I HAVE to take medications, accept help from others (for EVERYTHING), and tolerate unbearable (to me) treatments, like having an indwelling catheter, and bowel program. I HAVE to do all of those things, just to survive. That doesn't include coping with the loss of freedom, lack of privacy, loss of sensation, loss of dreams, aspirations and having to deal with constant compromise. It also doesn't account for the physical pain, discomfort, and sickness, that comes along with living with paralysis, and ultimately autonomic dysreflexia. I have come to a point in my own life, where I'm struggling with the question "is this life worth living for ME, or am I just prolonging my own suffering?" It is a very interesting and well thought out post about her life and the decisions she was making. Christina Symanski's life made headlines when she died on December 1, 2011 after she decided to stop eating in order to end her suffering. 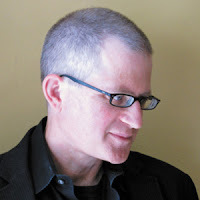 Christian Wiman, editor of Poetry magazine since 2003, was recently interviewed by Bill Moyers about his journey with cancer, falling in love and finding faith in the midst of death. Wiman was diagnosed with Waldenstrom's macroglobulinemia 6 years ago. He's recently undergone a bone marrow transplant and tells Moyers he's in the "wait and see" phase. As only a poet can do, Wiman's experience of being in danger of dying has allowed him to capture sentiments many of our dying patients may identify with. 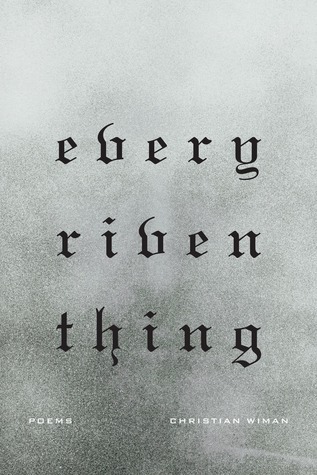 His latest book of poems, "Every Riven Thing" (Farrar, Straus and Giroux, 2010) captures these moments so artistically that it's easy to resonate with each word. In the interview with Moyers found here, Wiman reads a poem he wrote while in the hospital. It was right before chemotherapy started, and written in just one day. It begins, "Love's last urgency/ is earth and grief is all/ gravity and the long fall/ always back to earliest/ hours that exist/ nowhere but in one's brain." The poem later ends with "mystery mastering fear,/ so young, standing unstung/ under what survives of sky./ I learned too late how to live./ Child, teach me how to die." Wiman goes on to talk about the opening line of the poem saying, "I think there's a notion that when you're sick, when you're in danger of dying, that you want to get beyond. You know, you would think you want experience that takes you beyond earth. You want some since of an afterlife or ...beyond. But My experience has been the opposite, that when you feel threatened, what, in fact, you want is the earth. You want concreteness.That's what rescues you." How profound. I also identified with the concept of going back to "earliest hours that exist", don't we experience this in palliative care? We often counsel families to not be alarmed when hearing a strange story from a loved one. It actually may be a memory that existed, "nowhere but in one's brain." Besides being confronted with mortality, Wiman has also experienced excruciating pain throughout his disease process and treatment. He said that this even more than the idea of death has impacted him. An essay he wrote related to pain was published in the Harvard Divinity Bulletin for Winter/Spring 2012 and Wiman read it during the interview. In the words below I am struck with his isolation but also with the final effect of desire for God in the aftermath. "Six years have passed since I wrote the first words of these notes. I have been in and out of treatment, in and out of the hospital. I have had bones die; joints lock in my face and arms and legs so that I could not eat, could not walk; cancer pack[ed] my marrow to the point that it began to expand excruciatingly inside my bones. I ... filled my body with mouse antibodies, small molecules, chemotherapies eating into me like animate acids. I have passed through pain I could never have imagined, pain that seemed to incinerate all my thoughts of God and leave me sitting there in the ashes, alone. I have been islanded even from my wife, though her love was constant, as was mine. I have come back, for now, even hungrier for God, for Christ, for all the difficult bliss of this life I have been given. But there is great weariness too. And fear. And fury." Thanks to Chris Okon for steering me to the interview. For those, like me, who had not read Christian Wiman's poetry or prose, this will be someone to add to your collection. 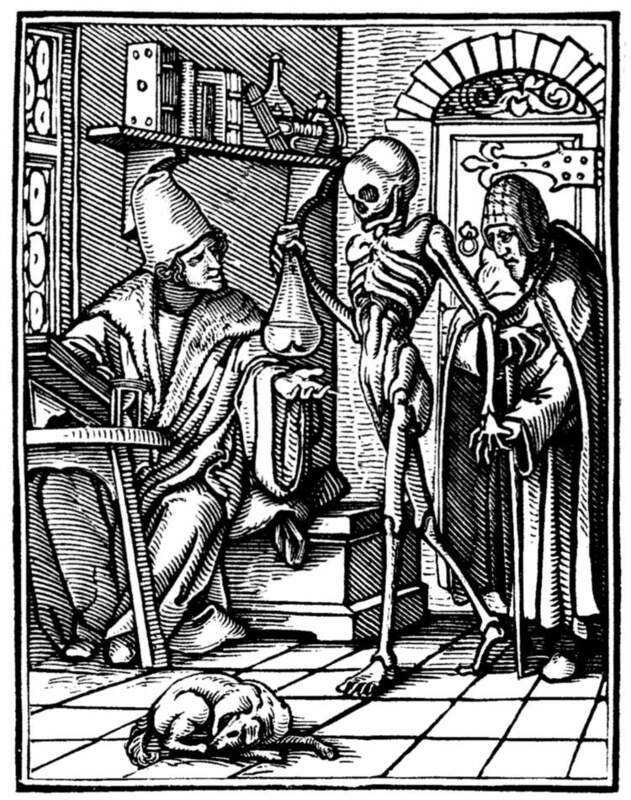 I don't really mean to be on a skeleton kick... but was exploring this very old work done by Hans Holbein the Younger in the 1500's, and thought I'd share it. Holbein, a German artist, was really known in the 16th century as one of the great portraitists of his time. Many of his portraits, such as of Sir Thomas More and Henry VIII are housed in the great museums of the world. However, at least initially in his career, much of his money was made doing religious commissions. These works were often done as woodcuts for easy reproducible printing. 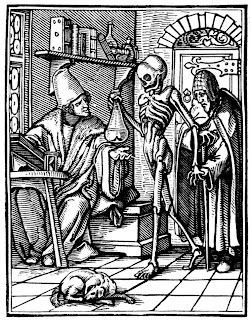 The work I found interesting was his "The Dance of Death" published in 1538. Experts agree the engravings were done 12 years earlier in 1526, which was very close to the reformation and peasants' rebellions of 1524. These events are reflected in the thematic elements of justice in his work, as well as the top down approach of death's activities. The message is very clear; summed up in the words from the book, "De la Necessite de la Mort qui ne laisse riens estre pardurable" translated "The necessity of death leaves nothing and is eternal". Another way of saying this is, no one will escape death. The book consists of a series of 41 woodcuts depicting death as a skeleton robbing people of life in the midst of every day activities. The first 4 woodcuts are regarding Adam and Eve, as if to provide the foundation of death itself. Then symbolically all people are included, starting from the most powerful (the Pope) to the lowliest (a child). Accompanying each etching are Latin quotes based on scripture. I enjoyed scrolling through the images as they provide a glimpse of societal structure at the time. There are duchesses, emperors, attorneys, doctors, senators, clergy, etc. 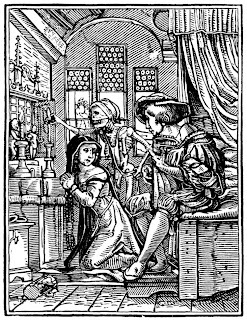 Holbein is known for his symbolism as well as sarcasm, so many of the pictures depict this. For instance the nun is caught with a lover, as death extinguishes the religious candle. The doctor is depicted with death having brought him a dying patient, as if to mock the doctor's attempts at staving off death. Besides this rich body of work, there was a version of this dance of death done as an alphabet by Holbein in 1526 but not published until 1538. The same characters from the book are depicted with letters of the alphabet. Wouldn't this be a nice children's learning tool? Take some time to scroll through the work in entirety on the Project Gutenberg site. 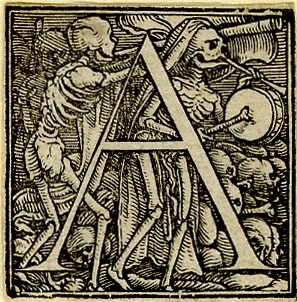 This other web site has the alphabet and contrasts each letter to the referenced Dance of Death book image. A couple months back a friend of mine posted a link on her Facebook page while she was caring for an aging furry friend. The photos and the movie about the photographer, Isa Leshko, and her work is called "Elderly Animals." For me, the eyes of her subjects reflected the profound strength and frailty that paradoxically coexist in humans and other animals. The images are powerful and honest, and were a way the artist explored her feelings after caring for her mother with Alzheimer's disease. Here is an excerpt from her statement about the project on her website. Both the photos and the movie about Isa are worth a look. Art collector Richard Harris, while visiting an art fair in 2001 in the Netherlands about the inevitability of death, had an epiphany of sorts. Why not start collecting art that deals with death as its theme? More than a decade later Harris now owns over 1500 pieces of art and artifacts that deal with the subject of death. 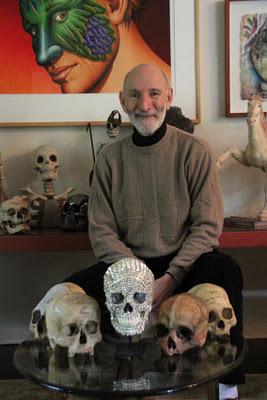 I think Harris should be an honorary pallimed member, since our mission has been to explore all things art and humanities, related to the subject of death. 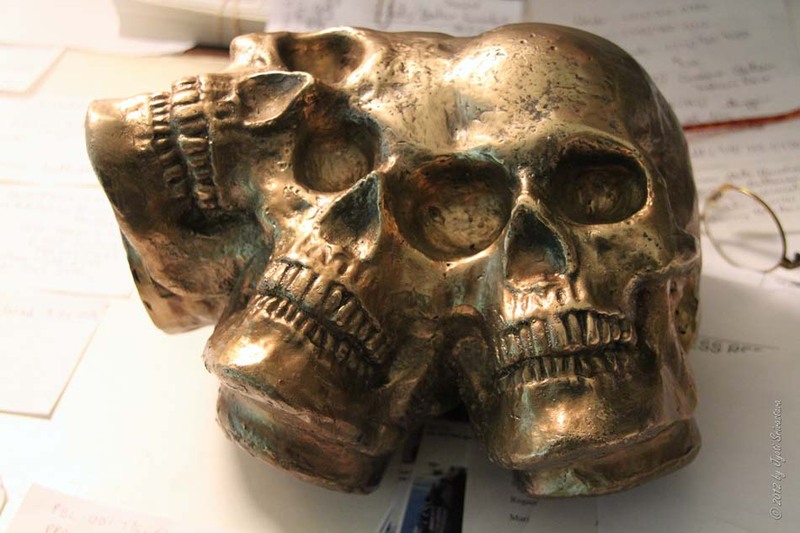 Harris's art works are really a Memento Mori or "remember you will die" collection. The representation of death is that of a skeleton, rather than a depiction of the process of dying itself. The symbolism still invites the viewer to examine death and contemplate mortality, while still being somewhat removed. 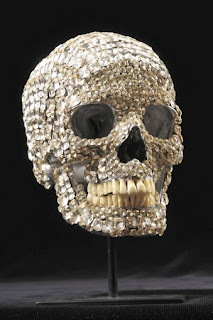 Harris, age 74, told an interviewer that the collection also provides him with inspiration, he said that, "before I do die, before death does come to me...I should put together something of an overall view of death from my perspective." 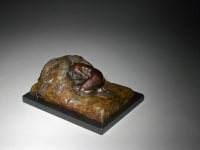 The collection spans over 6,000 years in time, with historical as well as contemporary works. There are artifacts and photographs and cultural materials all exploring death. Starting January 28 and running through July 8 some of Harris's massive collection will be displayed at the Chicago Cultural Center in an exhibit entitled, "Morbid Curiosity: The Richard Harris Collection"
To read more about the exhibit and learn more about Richard Harris visit the Chicago Cultural Center. To see a few more images of his collection go here. All images are part of the Richard Harris Collection. Thanks to Drew Rosielle who sent me a link to this video game. I am not big on playing video games. I figure one person in our household (my husband) being obsessed with them is enough. There's just too much action for me, and my lack of hand-eye coordination prevents me from ever being successful when I have tried. This game, To the Moon, is a different type of game and fits right in with other Pallimed topics. 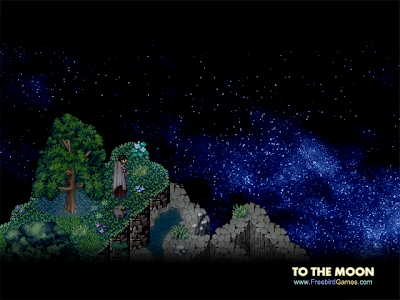 To the Moon is an "indie adventure RPG". (My husband tells me that RPG means role playing game.) In this world, there is a procedure that physicians can do in which they go back into a patient's mind and implant a new memory, thereby giving someone their fondest wish. Or really the false memory of having gotten their fondest wish. The procedure is very risky as pre-existing memories can conflict with the newly planted ones. They only ever do this when someone is on their death bed. "And if all goes well, they would wake up, having lived the dream life they never had, and embrace a brief moment of blissful fulfillment. Shortly after, they’d draw their last breath." This game follows Dr. Rosalene and Dr. Watts as they work their way back through the memories of an elderly man, Johnny. The new memories have to be implanted in childhood. Each of Johnny's memories they go through is an interactive scene. Through the memories they try to figure out why Johnny chose this specific wish, to go to the moon. Below is a trailer for the game. How horrible is it that one of my first thoughts was that insurance totally wouldn't pay for this. It sounds like a sweet and interesting game. How interesting would it be to be able to go back through the memories of my patients and see what really motivated them in life and what shaped their dreams. Kind of A Christmas Carol-esque but in third person instead of first. I haven't had the opportunity to attempt to play it yet but you can purchase it on their website or just download a sample. The game also has a beautiful original soundtrack. Below is the main song, but many of the songs can be heard here. Thanks again Drew. This was a great find. I am often drawn to artists who have experienced death and then use their work to process the loss. Julie Williams is just such a person. She is an Australian photo-artist, who in 2004 lost her partner. In an effort to work through her grief, Williams began to visit familiar places in nature. One spot she kept returning to, was a waterhole in the Hartley Valley. It seemed that as a drought back in 2004 the valley ended, and the River Lett began to flow again, her grief also moved with it. She picked up her camera and began to photograph the water, the light, and the movement. Each time she returned over the next weeks, months and then years, the waterhole was different. 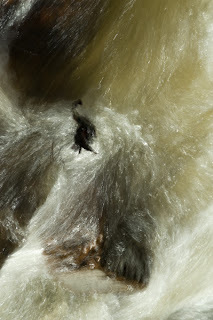 A metaphor for her journey, that grief seems to change moment by moment, just as the water flow changed. The subject matter itself, being water, is somewhat symbolic of grief - as we think of tears being shed, of streams down someone's cheeks. 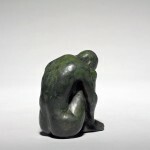 Williams herself has pointed out that even the images, elusive and inexplicable, can be like grief itself. These works were on display this fall, entitled "When first knew this place" at the Western Plains Cultural Centre in Dubbo, NSW, Australia. Williams says of the title, "The grief pulled me up, the water drew me in and that was when I began to really see. It was when first I knew this place." When asked about her upcoming plans, Williams told an interviewer that she wasn't done with the waterhole yet, that it continues to keep drawing her back. Personally, I enjoy seeing images of every day surroundings, portrayed in such a way that they appear magical, moving, or unrecognizable. These images then to me, are aesthetic and mean even more in the context of grief. To see a complete collection of the artists works, visit her page here. The finale of the reality television show Work of Art: The Next Great Artist aired last week. This show is like a lot of reality shows. The artists are each week given a topic or project to make a work of art. Each week an artist is voted off by a panel of judges. In the finale, the three top artists spent three months creating their solo exhibitions. What I found interesting is that 2 of the 3 shows were partially or completely themed around death. Young Sun, one of the finalists, show was entitled Bool-sa-jo and was focused around the illness and then death of his father. Written on the exhibit was a conversation between Sun and his mother. "My sweet bool-sa-jo," she called him. Mom stroked Dad's cheek. "What does that word mean?" I asked. "Phoenix," she replied. "He's survived so many operations, strokes, chemo. He keeps living. That's why I call him that. I think he'll live longer than me!" Finding a balance between closure and remembrance isn't easy. Bool-sa-jo at once an epilogue and a tribute to the process of loss and healing amongst family"
Kymia Nawabi, the winner of the finale, had an exhibit entitled Not For Long, My Forlorn. 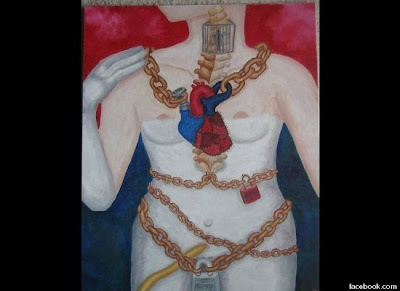 Her work focused around life cycles, including death and life after death. Below is a poem at her exhibit and then a video of Kymia talking about her work. 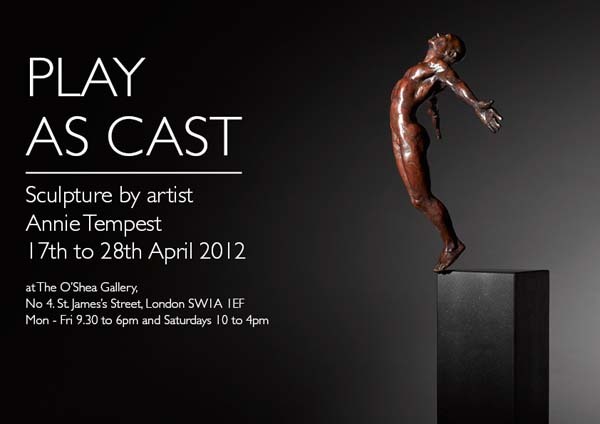 The exhibits can be seen on the shows website here. I am a huge fan of Radiolab, and happened to hear their story of the Resusci Anne, or CPR Annie, recently. I thought Pallimed Arts readers would enjoy this as it fits well into our field. Most of us at some time have at least seen CPR Annie, others of us have actually pounded on her chest, and preformed mouth to mouth as we went through the CPR steps. 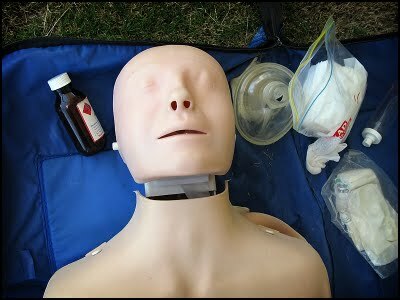 The same face has been used since the beginning of CPR training in the 1960s and Annie remains the most popular CPR manikin face. This face is not just a plastic computer generated face either. There is a unique history to Resusci Anne. The designer of Annie is Asmund Laerdal, a Norwegian toy maker. Laedral agreed to participate in this new training idea when friend Dr. Peter Safar, the father of CPR, asked. Laedral, however, needed inspiration and so while visiting his parents he noticed an attractive mask of a woman's face on their wall and knew immediately this would be his model. The face he saw was actually a death mask, known as "L'Inconnue de la Seine"
If you need a refresher on Death Masks, Amber talked about it in a post a while ago. They are plaster casts made of someone's face, soon after death, used as a memento. "L'Inconnue de la Seine" actually means the 'unknown woman of the Seine'. The story goes that this beautiful woman was pulled out of the river Seine in Paris in the 1880's. 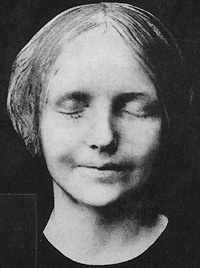 Her beauty struck the workers at the morgue, so a death mask was created. The reason for her death was guessed to be suicide and from there her legend grew. In time reproductions were created and people captivated by her unknown identity and beauty began to display the mask in their homes as art. Her identity to this day is unknown, but this has not stopped her allure. She was a bit of a sensation, especially in the 1920's and 30's, and well known writers such as Richard le Gallienne, Jules Supervielle, Claire Goll and Anias Nin mentioned L'Inconnue in their works. The Radiolab episode commented on the irony of this whole story. The unknown beautiful lady who drowned, is now symbolically resuscitated in CPR classes around the world, over and over again. I found a deeper irony in my research. Both Peter Safar and Asmund Laerdal had children who required resuscitation. Asmund's son nearly drowned in 1954 at the age of 2, and his Asmund, despite not knowing CPR, was able to revive him. Dr. Safar had a daughter with severe asthma, who had a tragic asthma attack in 1966. Dr. Safar was able to resuscitate her with CPR, however she had anoxic trauma and died several days later. I would highly recommend a listen to Radiolab's piece, as they interview Laerdal's son and do a superb job telling this story. Most of all, the next time you do CPR training, remember the story of the "L'Inconnue de la Seine" as you do your, "Annie, Annie, are you okay?"